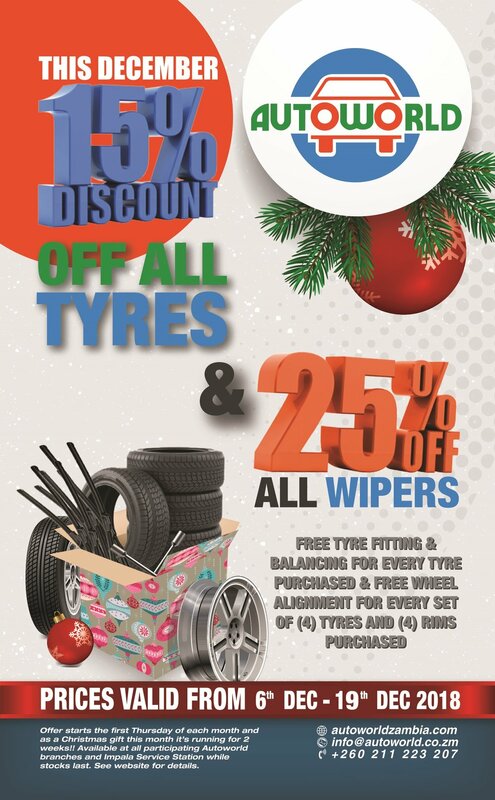 This Christmas time we’re giving a 15% discount off our complete range of tyres AND a crazy 25% discount off our complete range of wipers!! And it’s running for two whole weeks!! We’ll also be giving free tyre fitting and balancing for each tyre purchased, as well as free wheel alignment for every set of 4 tyres and 4 rims. We hope these great deals get you in the mood for the festive season. Remember to drive safely - don’t drink and drive. Wishing you a fantastic time with family and friends.